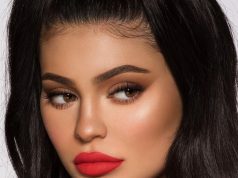  “Let craft lead the way.” was the statement given by the brand which always had a vision of creating relevant fashion and serves a greater cause. 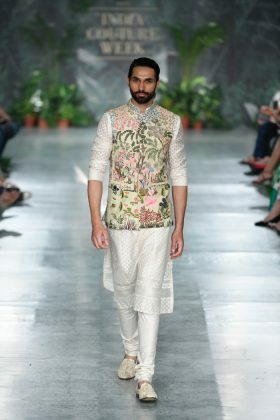 This concept made one of our designers think that tradition which is being practised for years has upheld the economy and he thought to redefine the notion in fashion. 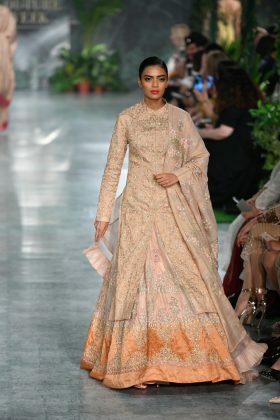 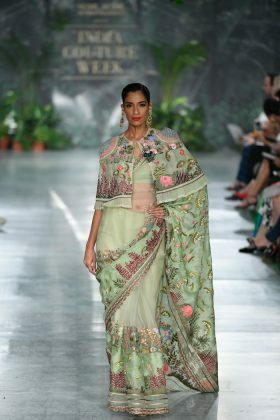 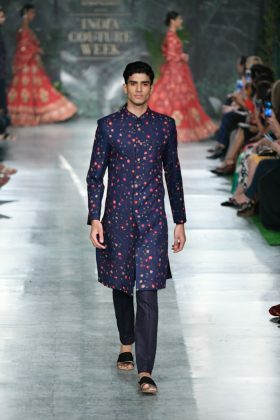 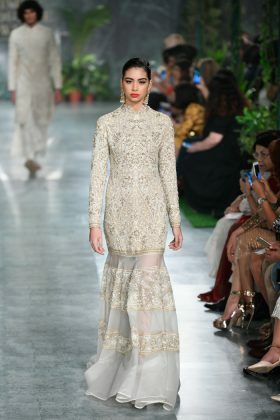 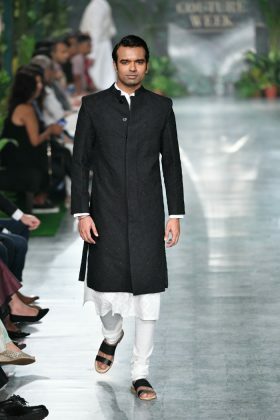 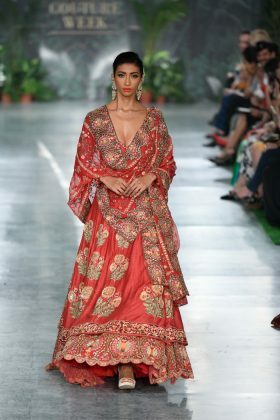 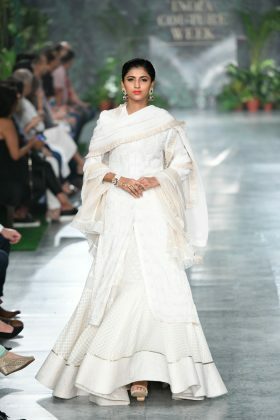 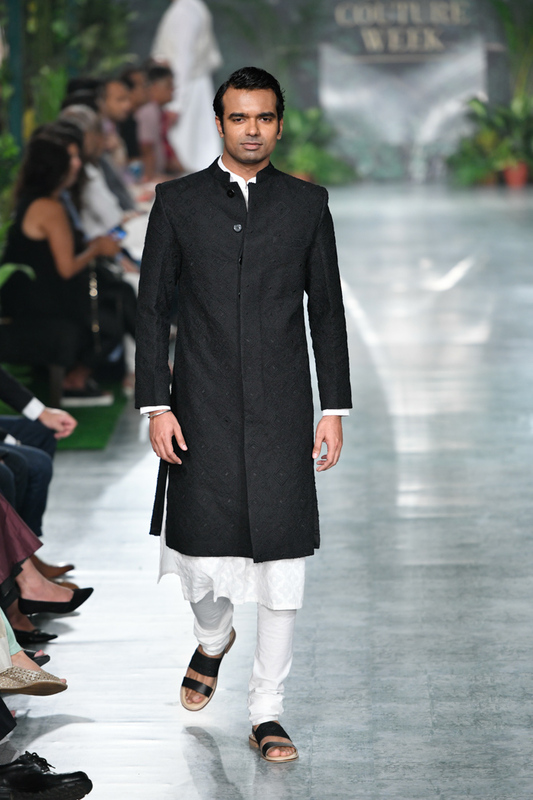 The first Indian designer to win the International Woolmark Prize, Rahul Mishra’s latest collection hit the ramp with a unique and eye-catchy collection. 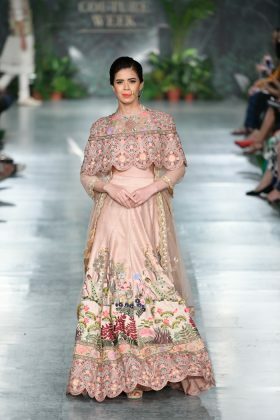 The collection which seems to be inspired by nature, and more specifically ‘cross-pollination’ found a perfect backdrop in the form of a ‘greenhouse’ runway. 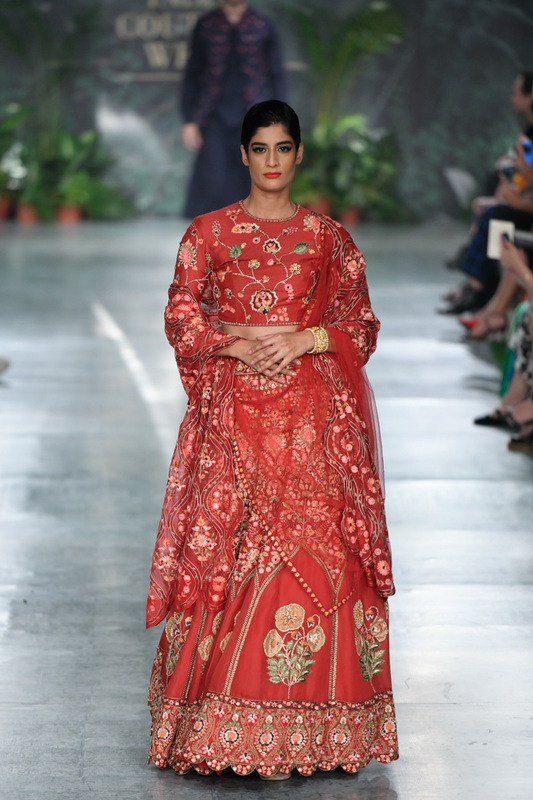 A study of visual history and connections was the driving thought of Rahul Mishra India Couture Week 2018. 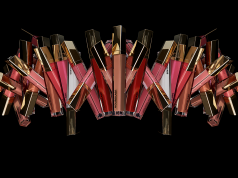 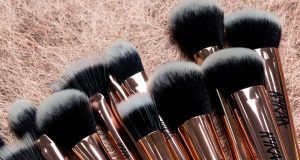 “There is a cross-pollination of ideas for this collection. I have tried to give everything a fresh look, and historical art a new space,” said the designer. 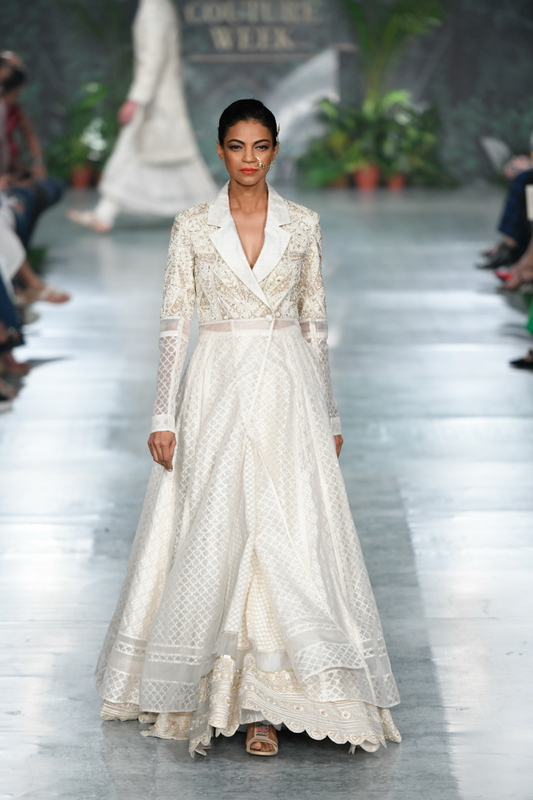 Just scroll our gallery and check out the modern creativity inspired by heritage. 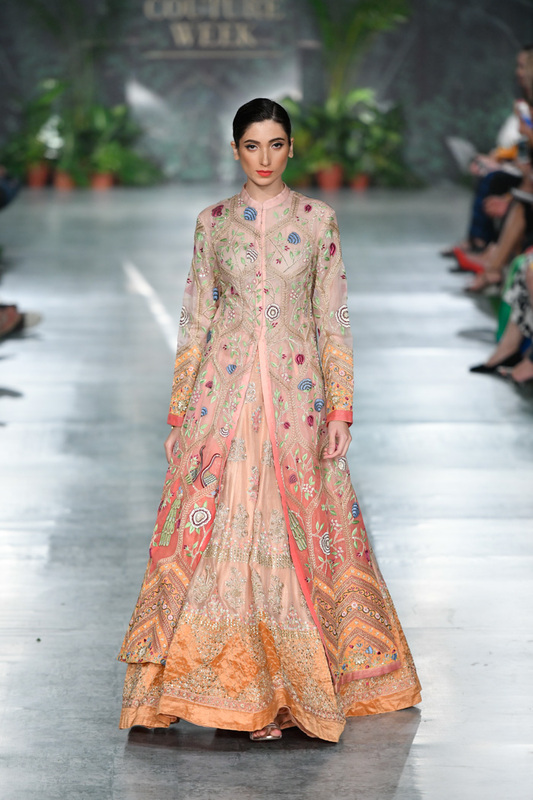 His inspiration was primarily the 17th-century Mughal architecture. The designer also mentioned how the relatively less known Asif’s Khan’s tomb featured some of the best examples of complex architectural details. 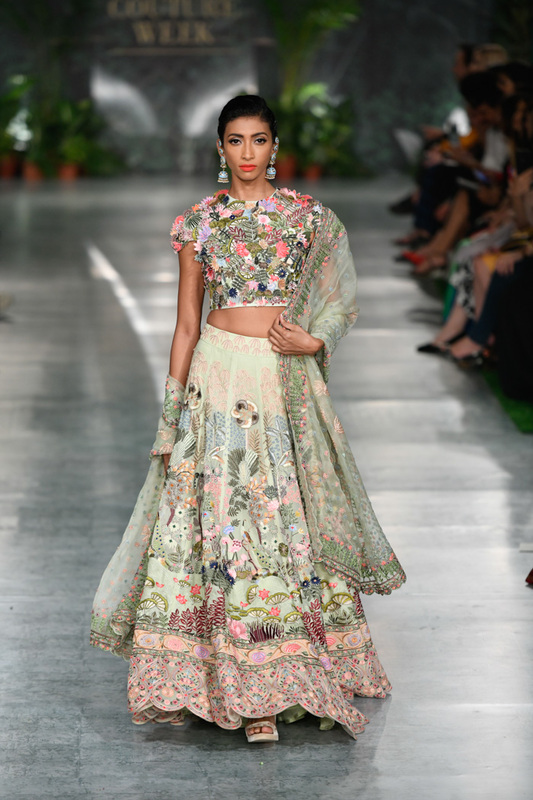 Unique Mughal era architecture-inspired lehengas, sarees, floor-grazing jackets, anarkalis and capes embellished with dizzying geometric and floral motifs in a spectrum of colours. For the first time, the designer also presented menswear with vivid embroideries. 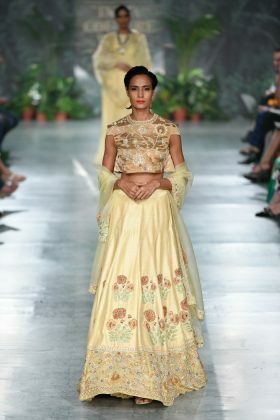 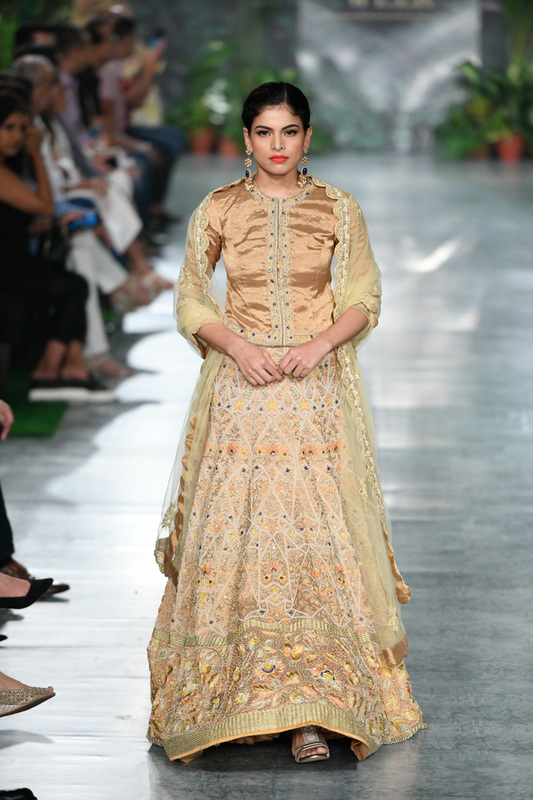 Lehengas and anarkalis were adorned with his signature 3D embroideries. Colours, like, corals, greens, whites, gold and blues made their presence felt and handwoven fabrics, like, kinkhab Benarasi, organza, merino wool, muga silk, georgettes, chiffons and chanderi were used to make the collection standout on the ramp. 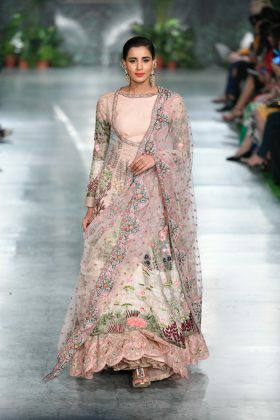 Intricate Resham thread work took centre stage through clustering palms, budding lotuses, miniature carnations and complex geometrical patterns.